I used to be a career professional in higher education (at colleges and universities). I was a dissertation away from a doctorate in education (Ed.D.) in adult education in the mid-90’s from Nova Southeastern University. I earned a Master of Science degree (M.S.) in Education with a specialization in Higher Education/Student Personnel Services from Iowa State University (which is well known for its higher education graduate programs) in August 1991. I also earned a Bachelor of Arts degree (B.A.) from Iowa State in Art & Design (with a departmental minor in Psychology) which I received in 1985. I was an adult student in college before the term even became popular. And I went to college on the G.I. Bill. I went through the U.S. Army’s basic training program and was stationed in South Korea after Basic Training and AIT (Advanced Individual Training) as a Transportation Movements Specialist (71N20). I was promoted from E-1 (Private) to E-4 (Specialist Four) within one year. I was promoted from E-1 to E-2 status after Basic Training, and to E-3 status after AIT, and I was promoted to E-4 in South Korea. And I received an Honorable Discharge. I worked in the field of higher education for over 20 years before accepting a director position at a “for-profit” institution in another state that has left me unemployed for over six years now. My previous work in higher education had at been at “non-profit” colleges and universities. I was only employed at the “for-profit” for just under seven months (repeat–seven months) after working in my field for over 20 years (including my work at Iowa State University when I served as the Editorial Secretary for the Journal of Extension for two years while finishing up my bachelor’s degree which I received two weeks shy of my 33rd birthday). And, before I landed at that “for-profit” I worked for over four years each at several previous colleges and universities during those 20 years, including the university I worked for at the time I left to take the director position at that “for-profit” institute. I have numerous reference letters going back to 1985 from all of the people (many were supervisors) at the colleges and universities that I worked for with the only exception being that “for-profit” institute where I worked for just under seven months that has left me unemployed all this time. And there is a common theme that runs through them, and the professionals who wrote those letters (between 1985 and 2008) certainly did not know each other. Without fail they mention my stellar work ethic and the quality of my work, and how well I served the students and was an advocate for them. They stated that I was a valued member of the organization, well qualified in both education and experience, detailed-oriented, organized, friendly and professional, and they all said I was a major asset to the organization. To think that less than seven short months working at a “for-profit” would end a 20-year career in higher education is appalling to say the least, but that appears to be exactly what happened as I have been unemployed over six years now from that unfortunate experience. That particular “for profit” has been in the news. Their stock on NASDAQ has gone from $20+ a share back then to barely 25 cents a share over the past several years. They also had major layoffs in 2012 (and continue to have layoffs to this day) and even the long term employee who got my job after I was fired in 2009 ended up losing it in the first round of layoffs in 2012. She was a woman I supervised who had worked there for several years, and she told me at the end of my first week of work there (she was on vacation the first three days when I started) that I was in “her” job (the director position) and not to bother her or expect her help in orienting me to the office and how they operated, and not to expect any cooperation from her. When I told my boss what she said to me, his response was, “She’ll get over it. She’s just mad because she didn’t get the job.” And he did nothing to change her attitude or support me in my role as supervisor from that point on. He never even gave me a chance from my very first day on the job when he left me alone in my office until the day I was let go almost seven months later. Fast forward six years now . . . .
Nowadays I hear a lot of commercials on TV that talk about retirement planning. Mine went up in smoke when I lost that job through no fault of my own six years ago. Not only that, but I have been forced to live on my retirement funds for over three years now and they are significantly (repeat–significantly) depleted now. Did I mention I lost that job one month shy of my 57th birthday and I am now 62 (almost 63) and my father is still alive at 91 (so longevity runs in the family but my money will run out way before then). I was forced to take Social Security at 62 because I had no other income and no matter how many jobs I applied for starting the day after I lost that job six years ago (I stopped counting at 500 in 2011) nobody ended up hiring me, even though in the first year to year and a half I had many very successful interviews. In fact, I would sail through the interviews and sometimes a second interview, and then–nothing. And before I worked at that “for-profit,” I never had a problem finding a job in my entire life. For the past six years I have not been able to contribute to Social Security or my retirement plan because I can’t find a job. In fact, I have been forced to live on both my social security (I started receiving my monthly check on July 23, 2014) and my retirement funds just to survive financially. I am now 62 and where do you think I will be at 70, or even 65, at this rate? I have lost over $312,000 in lost wages if you go by the salary I was paid at that job–$52,000/yr.–and that doesn’t include any annual increase I might have received over those years. And I have had no health insurance since my Cobra insurance ran out in July 2010, and I can’t afford Obamacare on my Social Security income. And there are plenty of others just like me all across America. I heard a figure just the other day on the real number of unemployed Americans still out there (most have given up looking for work) since this whole mess started in 2008 and that number was 20 million (I heard 27 million from another source). Welcome to 21st Century America . . . .
You don’t even want to know what I have gone through these past six years. And there are a whole lot of us out here in similar types of situations who are mad as heck but that doesn’t affect anyone’s current salary or retirement account in Congress or those holding other political offices. So do they really care about the state of our economy or some of the unconscionable stuff that goes on in workplaces across America as long as their paychecks and retirement accounts (and health insurance plans that don’t include Obamacare) aren’t affected? Does anybody care? Anybody? There are a heck of a lot of us out here–millions and millions–of all ages and ethnic backgrounds. This is AMERICA, folks. We are U.S. citizens, born and bred, and we are often treated as being less than the immigrants and illegal aliens. What is wrong with this picture? Do we now have to consider moving to a foreign country just to get ahead? We need help, Washington . . . Corruption and greed are killing this country . . . . The lesson this parable illustrates is found in the very first sentence—Always pray and don’t give up!!! We are not told how long the woman kept coming to the judge with her request for justice from her adversary nor what her adversary was doing to her that was causing her so much pain and injustice; however, she persisted and persisted and persisted—she never gave up. 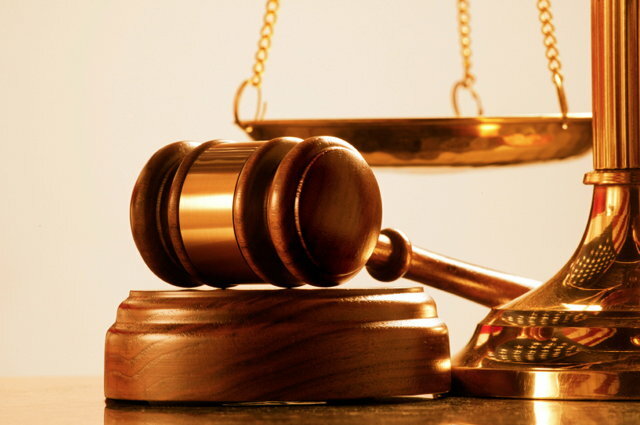 And while it appears to have taken a fair amount of time for the judge to finally grant her request for justice from her adversary (and the judge was not a God-fearing man nor did he care about what other people think), it was because of her continual persistence that he finally gave her the justice she so desperately needed from her adversary. Are you going through a hard time that you don’t think will ever end? If so, remember this parable when you feel like giving up, and remember, too, that “God is our refuge and strength, a very present help in trouble” (Psalm 46:1). God’s ever present help (coming to us in ways we cannot imagine if we will yield to him and not try to depend on ourselves for the answer) and bringing to mind the lesson in this parable when times have been really tough have kept me going through over four and a half years of still ongoing unemployment, [UPDATE April 23, 2015: I have now entered my 7th year of unemployment and a significant housing issue has now been added to the mix that has been and still is ongoing for the past seven months] and I’m not giving up! Don’t you give up, either . . .
Seek God’s face and always pray . . .
And never give up . . . .
For those of us who profess to be Christian, why do we worship God? What is it about Jesus Christ that we claim we cling to while singing our worship songs on Sunday morning? Unfortunately, it often does not follow us throughout the rest of our week in our interactions with others and in the midst of our own self-seeking ways. And “being nice” is no proof of genuine Christianity as anyone is capable of “being nice” if they choose to be. Our actions (and the motives behind them) lived out on a daily basis can give us some clues as to the depth, or lack of it, regarding our true feelings for and about God. Merely looking and acting “religious” on the outside (for the benefits of others and ourselves) has nothing to do with the truth. There is scarcely anything so dull and meaningless as Bible doctrine taught for its own sake. Truth divorced from life is not truth in its biblical sense, but something else and something less. Theology is a set of facts concerning God, man and the world. These facts may be and often are set forth as values in themselves; and there lies the snare both for the teacher and for the hearer . . . . The Bible, however, is more than a volume of hitherto unknown facts about God, man and the universe. It is a book of exhortation based upon those facts. By far the greater portion of the book is devoted to an urgent effort to persuade people to alter their ways and bring their lives into harmony with the will of God . . . .
We can only conclude that Jesus is universally popular today because He is universally misunderstood. Everyone admires Jesus, but almost no one takes Him seriously. He is considered a kindly idealist who loved babies and underprivileged persons. He is pictured as a gentle dreamer who was naive enough to believe in human goodness and brave enough to die for His belief. The world thinks of Him as meek, selfless and loving, and values Him because He was what we all are at heart, or would be if things were not so tough and we had more time to cultivate our virtues. Or He is a sweet, holy symbol of something too fine, too beautiful, to be real, but something which we would not lose nevertheless from our treasure house of precious things. “Living every moment in flat defiance of His authority” . . . . How often do our wants and our desires usurp Jesus Christ’s authority over our lives? Too often, in many cases. All we need to do is ask ourselves why we are doing what we do at any given moment and it becomes pretty clear who is in charge most of the time. But the God we must see is not the utilitarian God who is having such a run of popularity today, whose chief claim to men’s attention is His ability to bring them success in their various undertakings and who for that reason is being cajoled and flattered by everyone who wants a favor. The God we must learn to know is the Majesty in the heavens, God the Father Almighty, Maker of heaven and earth, the only wise God our Saviour . . . . It is possible to grow up in a church, learn the catechism and have everything done to us that they do to us, within reason. But after we have done all that, we many not know God at all, because God isn’t known by those external things. We are blind and can’t see, because the things of God no man knows but by the Spirit of God . . . .
We imagine that we can handle it by the flesh, and we do handle it by the flesh–the Lord lets us do it. We can hold the creed and not know God in His person at all. We can know the doctrine and not know spiritual things at all. The fearful consequence is that many people know about God but don’t know God Himself. 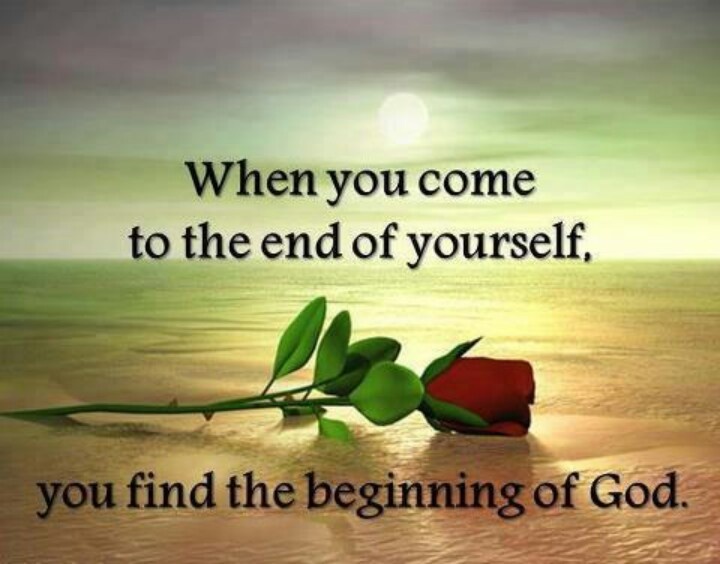 There is a vast difference between knowing about God and knowing God–a vast difference! 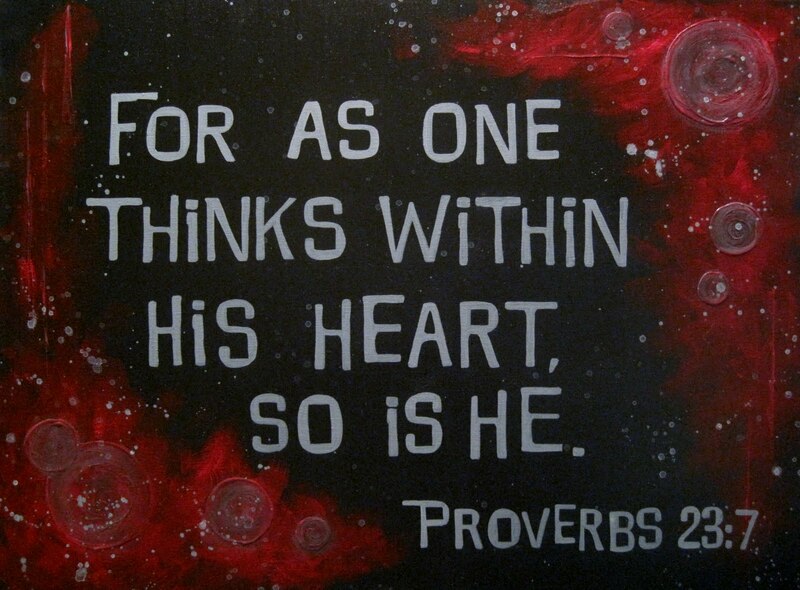 . . . .
Too often we only have a head knowledge–and not a genuine heart knowledge–of God and Jesus Christ. And without genuine repentance that head knowledge can fool both us and those around us. And it is a deadly place to be, for there is no genuine repentance that brings about change in us–a giving over of our own desires to the will of God. It is quite possible to get all emotional on Sunday morning while singing worships songs, but where the rubber meets the road is how we treat others (all others and not just those we choose to like for whatever our reasons) and who we are really living for during the rest of the week. Jesus said, “If you love me, keep my commandments” (John 14:15). Keeping the commands of Jesus begins with recognizing what they are. Following (see link) is a collection of 49 of Jesus’ commands. As you read through them, ask God to help you observe these words, apply them, and faithfully follow them throughout your lifetime. (Click here for the compiled list). I’m not including the link to that list to overwhelm anyone as it overwhelms me if I think I have to try to do any of them in my own power. Nobody can do them in their own power. However, the first one on the list brings about the ability to accomplish the rest, and that first one is repentance. Without genuine repentance the rest won’t matter. And we can’t do the rest without the power of the Holy Spirit inside of us enabling us to accomplish them. And it might surprise us to see just what some of the items are on that list, such as: following after Jesus; rejoicing; going the second mile; letting your light shine before others; keeping your word; loving your enemies; laying up treasures in heaven and not here on earth; and seeking God’s kingdom instead of one of our own making. And the reality is that it is not just about a “list,” but about a heart attitude. Who is it that we really want to serve? Jesus or ourselves? Too often we perceive Jesus to be described as in the devotion above titled, “Universally Misunderstood,” and he is anything but weak and/or timid or someone we can just push aside as a nice guy or sweet, holy symbol of our religion (see blog posts titled “Not a Tame Lion” and “Not A Timid Christianity”). He is the King of Kings and the Lord of Lord and all authority has been given to him by God the Father (see Matthew 28:18-20). Our faith, if it is genuine, requires obedience . . . .
Jesus calls us to a level of intimacy that can only be sustained by his constant presence in our lives. He says, “Walk with me and work with me — watch how I do it. Learn the unforced rhythms of grace” (Matthew 11:29-30 MSG). The great deterrent to victorious Christian living is the idea that once we accept Jesus Christ as Savior and believe that John 3:16 is all there is to it, our life now is on automatic pilot and we can just sit back and enjoy the ride. This is the source of a great deal of disillusionment that leads to discouragement in the Christian life. There is no such thing as automatic pilot in our Christian experience; every step is an operation of faith that will be fiercely contested by the enemy of our soul. This kind of automatic pilot thinking leads to spiritual lethargy. Breaking out from the tyranny of spiritual lethargy–whatever the cost–should be the number-one priority of every Christian (p. 205). “Every step is an operation of faith that will be fiercely contested by the enemy of our soul.” But do we believe that? We don’t if we are running on automatic pilot and not taking seriously what Jesus said in John 14:23, “Anyone who loves me will obey my teaching. My Father will love them, and we will come to them and make our home with them.” In fact, I Peter 5:8 admonishes us to “Be alert and of sober mind. Your enemy the devil prowls around like a roaring lion looking for someone to devour.” Obedience is not just an option to be considered but a mandate to follow for the protection of our souls. It will help us to locate ourselves spiritually if we face up to the rather ungracious question: “Are you a Christian in fact or merely a student of Christianity?” A lot will depend upon the answer, and if ever we should be frank, it is when we examine ourselves to see if we be in the faith. Multitudes tread a hazy path to death because they will not bring themselves under the searching eye of God. They prefer to assume everything is all right, though so to assume is always dangerous and may be deadly. Many honest persons argue in this way, but their honesty cannot save their argument from being erroneous. Theirs is the teaching that has in the last fifty years emasculated the evangelical message and lowered the moral standards of the Church until they are almost indistinguishable from those of the world. It results from a misunderstanding of grace and a narrow and one-sided view of the gospel, and its power to mislead lies in the element of truth in contains. It is arrived at by laying correct premises and then drawing false conclusions from them. The truth is that faith and obedience are two sides of the same coin and are always found together in the Scriptures. As well try to pry apart the two sides of a half-dollar as to separate obedience from faith. The two sides, while they remain together and are taken as one, represent good sound currency and constitute legal tender everywhere in the United States. Separate them and they are valueless. Insistence upon honoring but one side of the faith-obedience coin has wrought frightful harm in religious circles. Faith has been made everything and obedience nothing. The result among religious persons is moral weakness, spiritual blindness and a slow but constant drift away from New Testament Christianity. Our Lord made it very plain that spiritual truth cannot be understood until the heart has made a full committal to it. “If anyone chooses to do God’s will, he will find out whether my teaching comes from God or whether I speak on my own” (John 7:17). The willing and the doing (or at least the willingness to do) come before the knowing. Truth is a strict master and demands obedience before it will unveil its riches to the seeking soul. For those who want chapter and verse here are a few, and there are plenty more: Matthew 7:21; John 14:21; First John 2:4, 3:24, 5:2; First Peter 1:2; James 2:14-26; Romans 1:5; and Acts 5:32. The Bible has much to say about obedience. 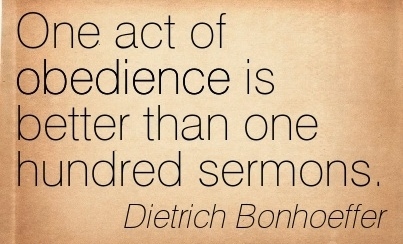 In fact, obedience is the essence of the Christian faith. Jesus Himself was “obedient unto death, even death on a cross” (Philippians 2:8). For Christians, the act of taking up our cross and following Him (Matthew 16:24) means obedience. The Bible makes it clear that we show our love for Jesus by obeying Him in all things: “If you love Me, keep My commandments” (John 14:15). Obedience is defined as “dutifully complying with the commands, orders, or instructions of one in authority.” Using this definition, we see the elements of biblical obedience. “Dutifully” means it is our obligation to obey God, just as Jesus fulfilled His duty to the Father by dying on the cross for our sin. “Commands, orders or instructions” speaks to the Scriptures in which God has clearly outlined His commandments and His will. “One in authority” is God Himself, whose authority is total and unequivocal. For the Christian, obedience means complying with everything God has commanded because it is our duty to do so. Having said that, it is important to understand that it is the spirit of obedience, not the act of obedience, that is important. The Pharisees relentlessly pursued acts of obedience to the law and by doing so became self-righteous, believing that they deserved to go to heaven by what they had done. Heaven, to them, was a reward owed to them for their good deeds, but the Bible tells us that, to God, all our righteous works are as “filthy rags” (Isaiah 64:6). The obedience that was lacking in the Pharisees was brought to light by Jesus, who exposed their heart attitude. Their hypocrisy in obeying the “letter of the law,” but not the spirit of it, characterized their lives, and Jesus rebuked them sharply for it: “Woe to you, scribes and Pharisees, hypocrites! For you are like whitewashed tombs, which indeed appear beautiful outside, but inside they are full of dead men’s bones, and of all uncleanness. Even so you also appear righteous to men outwardly, but inside you are full of hypocrisy and iniquity” (Matthew 23:27-28). Today, man is not called to obey the Law of Moses. That has been fulfilled in Christ. Man is to obey the “Law of Christ,” which is a law of love for one another (Galatians 6:2;John 13:34). Jesus Himself put it in perspective when He answered the question put to Him by Pharisees, “‘Teacher, what is the greatest commandment in the Law?’ He answered, ‘Love the Lord your God with all your heart and with all your soul, and with all your mind. This is the first and greatest commandment. And the second is like it: Love your neighbor as yourself. All the Law and the prophets hang on these two commandments’” (Matthew 22:36-40). The phrase “my yoke is easy and my burden is light” is part of a larger passage (Matthew 11:28-30), in which Jesus tells all who are weary and burdened to come to Him for rest. He isn’t speaking here of physical burdens. Rather, it was the heavy burden of the system of works that the Pharisees laid on the backs of the people that Jesus was offering to relieve. Later on in Matthew’s gospel, Jesus will rebuke the Pharisees for laying heavy burdens on the shoulders of the people (Matthew 23:4). The “yoke of the Pharisees” is the burdensome yoke of self-righteousness and legalistic law-keeping…. Jesus was saying that any kind of law-keeping is burdensome and amounts to a “heavy yoke” of oppression because no amount of law-keeping can bridge the gap between our sinfulness and God’s holiness…. The good news is that Jesus promises to all who come to Him that He will give them rest from the heavy burden of trying to earn our way into heaven and rest from the oppressive yoke of self-righteousness and legalism. Jesus encourages those who are “heavy laden” to take His yoke upon them and in so doing they will find rest for their souls. The yoke of Jesus is light and easy to carry because it is the yoke of repentance and faith followed by a singular commitment to follow Him. As the Apostle John says, “For this is the love of God, that we keep his commandments. And his commandments are not burdensome” (1 John 5:3). This is what Jesus says in v. 30. His yoke is easy and his burden light. Now, we might think that there is really no difference between the commandments of Jesus and the Jewish Law. Isn’t the same God responsible for both? Technically speaking, yes. If anything, one might argue that the commands of Jesus are even more burdensome because His reformulation of the Mosaic Law in the Sermon on the Mount (Matthew 5–7) actually goes above and beyond a mere outward conformity to the Law and deals instead with the inner person. While that definition is a little heavier then I planned to get into in this blog post, it is stating some very good news in that a life lived by faith and obedience is an easier yoke and a lighter burden then trying to live it under our own power and/or self-righteousness and/or excusing-making which we tend to lean on all too easily. Everyone who believes that Jesus is the Christ is born of God, and everyone who loves the father loves his child as well. This is how we know that we love the children of God: by loving God and carrying out his commands. In fact, this is love for God: to keep his commands. And his commands are not burdensome, for everyone born of God overcomes the world. This is the victory that has overcome the world, even our faith . . .
Who is it that overcomes the world? Only the one who believes . . .
That Jesus is the Son of God . . . . Distractions . . . they eat up our time and clutter our minds and our lives. Hardly an hour (or even a few minutes) goes by that we aren’t distracted by something or someone that has invaded our space. Just consider how much time our smartphones take away from us and keep us distracted by keep us busy doing so much “stuff” on them that is truly time wasting and most of the time absolutely not essential to our lives. In fact, at times it is very dangerous, like texting and/or being otherwise preoccupied by our smartphones while driving our vehicles. Whatever excites the curiosity, scatters the thoughts, disquiets the heart, absorbs the interests or shifts our life focus from the kingdom of God within us to the world around us—that is a distraction; and the world is full of them. Our science-based civilization has given us many benefits but it has multiplied our distractions and so taken away far more than it has given…. The world is full of distractions, and we get pulled into them with hardly even a notice. For example, take technology, which is one of the truly remarkable advances in our world today. One of the biggest downsides to technology is that it has a huge capacity to constantly distract us 24/7. But there are many other distractions that have always been around; things that worry us and consume our time and our energy like the constant quest for money or material possessions that is so prevalent in our culture today. Even the plethora of “retirement planning” commercials cause us to worry about our financial futures 10, 20, 30 or more years down the road from now. Will we have enough money to retire on or even enough right now in our constant quest for more? Or consider the ever increasing pursuit of pleasure or lust for accolades as we climb a career ladder to gain a higher social status. I have to admit that in my early 50’s I was starting to be a bit fearful about what would happen to me when I reached retirement age as I knew that what I had accumulated in my retirement account (that wasn’t even started until I was in my late 30’s) was hardly enough to sustain me for a number of years after I reached retirement age. Also, some of the people I worked around at the time told me I needed to consider buying a condo or small house to have as an investment as I had lived in apartments all of my life, and they said I was just “throwing my money away” paying rent to someone else. However, the apartment I rented at the time was far cheaper then the payments on a condo or house would have been, and I was happy living in it. I did contact a real estate agent to help me look around for a while but what I felt I could afford (far less than the agent was trying to sell me on) did not interest me. And I had no desire to get myself into a 30-year mortgage at my age, so I put it on the back burner. It was only two or three months after that point that we were told that our division where I worked was being dismantled, and I was so incredibly grateful that I didn’t try to purchase a condo or a house in that town as I would have lost my shirt financially from the fallout. I’ve mentioned the above example from my own life to show that if I had allowed the distraction of worry to get the better of me and taken the advice of some of my coworkers, I might have ended up purchasing a condo or house that would have been–in the very near future–repossessed by the bank or mortgage company and left me in financial ruin. After all, I had no idea that my division was about to be dismantled and there were no signs of it heading in that direction that any of us working in it were aware of as we were in a major growth cycle at the time of its rather quick demise. Distractions do exactly that–they distract us from the reality of what is really going on all around us. And if we pay attention to them and give a lot of time to them, they can destroy us in a variety of ways. I imagine a lot of affairs start off as distractions that are allowed to go on unrestrained until the end result is that families and relationships are destroyed. Texting behind the wheel of a car has most likely crippled and/or killed large numbers of people from the accidents it has caused. And just look at all the stuff being advertised on television and in other media that constantly beckons for our attention (and gets it, too): pricey diet programs; pricey prescription medications for illnesses we didn’t even know we had until the commercial tells us we might have them; lawyers advertising their services for lawsuits that might make us (and, of course, them) a lot of money; the “retirement planning” commercials that I mentioned above; the myriad of hotel and vacation commercials, food commercials galore; and the list goes on and on and on . . . .
You can’t hear God when your mind is crowded with thoughts, worries, fears, and plans, or if you always have the radio or TV on. And if you constantly have your phone against your ear, when God calls all he gets is a busy signal! 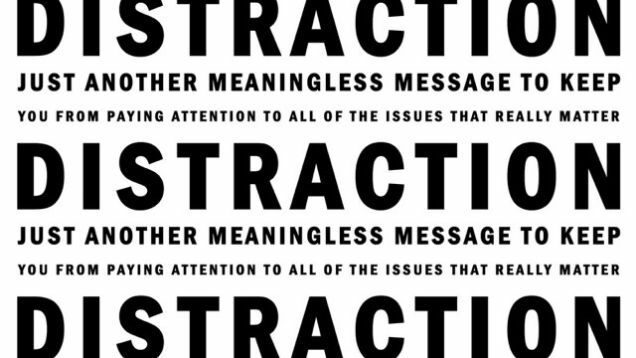 All of these distractions are what Jesus was referring to in Luke 8 when he talked about the seed falling in the weeds. Today’s verse [Luke 8:7 MSG] says those weeds grew with the seed and strangled it. Now notice that this scenario is a little bit better than the shallow soil because the seed actually sprouts and grows. But the weeds choke it out so it never bears fruit. So many people hear God speak, but as they go on their way, life’s worries, riches, and pleasures choke them, so they never mature. If you are always on the go and you can’t hear God, you are facing the barrier of busyness. Often we confuse busyness with productivity and they aren’t the same thing. If you keep going, going, going but you aren’t spiritually growing, growing, growing, you are busy, not productive. Jesus says distractions are like weeds that grow up in your mind and heart, just as weeds grow in a garden. Worries – The Greek word for worry is ‘merinma,’ which means “pulled in different directions.” When you are pulled in different directions, you are worried. And when you are worried, you can’t hear God. Riches – You can be so busy making a living, trying to make money to pay the bills and get out of debt that you can’t hear God. Pleasures – God gives you pleasures, and they are a good thing. But you can get so busy pursuing pleasures and fun that you forget to pursue God as well. How much effort does it take to grow weeds? None. Weeds are a sign of neglect. When you neglect your time with God, the weeds start to grow in your life. In order to overcome the weeds, you must learn to overcome your preoccupied mind. It is the worries, riches, and pleasures of life that have a huge tendency to engulf us so much of the time, and they produce no fruit whatsoever in our spiritual life because they drown out God’s voice just as Rick Warren stated above. So may we learn to cultivate simplicity. . .
And let us want fewer things. . .
And let us learn to walk in the Spirit of God. . . .
Answer: The resurrection of Jesus is important for several reasons. First, it witnesses to the immense power of God Himself. 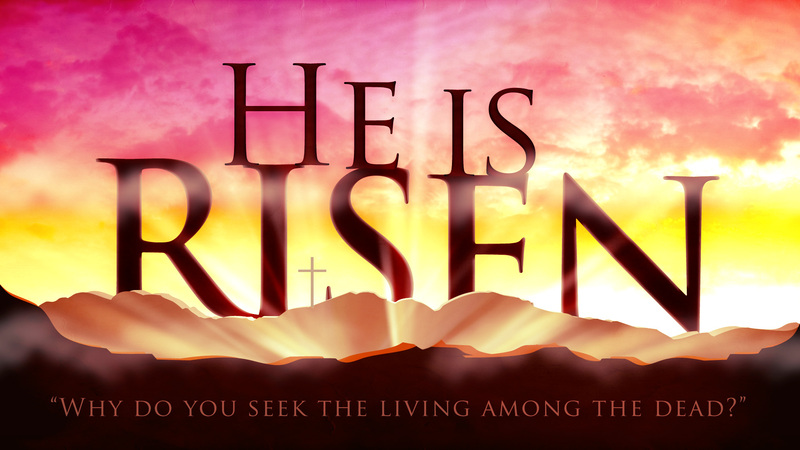 To believe in the resurrection is to believe in God. If God exists, and if He created the universe and has power over it, He has power to raise the dead. If He does not have such power, He is not a God worthy of our faith and worship. Only He who created life can resurrect it after death, only He can reverse the hideousness that is death itself, and only He can remove the sting that is death and the victory that is the grave’s (1 Corinthians 15:54-55). In resurrecting Jesus from the grave, God reminds us of His absolute sovereignty over life and death. Second, the resurrection of Jesus is a testimony to the resurrection of human beings, which is a basic tenet of the Christian faith. Unlike all other religions, Christianity alone possesses a founder who transcends death and who promises that His followers will do the same. All other religions were founded by men and prophets whose end was the grave. As Christians, we take comfort in the fact that our God became man, died for our sins, and was resurrected the third day. The grave could not hold Him. He lives, and He sits today at the right hand of God the Father in heaven. 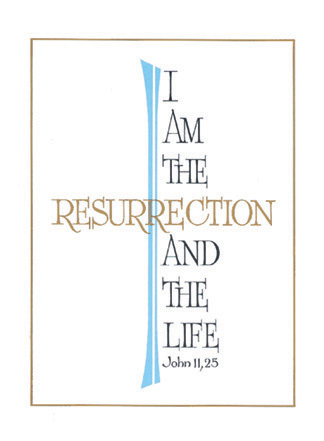 In 1 Corinthians 15, Paul explains in detail the importance of the resurrection of Christ. Some in Corinth did not believe in the resurrection of the dead, and in this chapter Paul gives six disastrous consequences if there were no resurrection: 1) preaching Christ would be senseless (v. 14); 2) faith in Christ would be useless (v. 14); 3) all the witnesses and preachers of the resurrection would be liars (v. 15); 4) no one would be redeemed from sin (v. 17); 5) all former believers would have perished (v.18); and 6) Christians would be the most pitiable people on the earth (v. 19). But Christ indeed has risen from the dead and “has become the first-fruits of those who have fallen asleep” (v. 20), assuring that we will follow Him in resurrection. How do these concluding verses relate to the importance of the resurrection? Paul answers, “…you know that your labor in the Lord is not in vain” (v. 58). He reminds us that because we know we will be resurrected to new life, we can suffer persecution and danger for Christ’s sake (vv. 29-31), just as He did. We can follow the example of the thousands of martyrs through history who gladly traded their earthly lives for everlasting life via the resurrection. So what are we waiting for? Time is short . 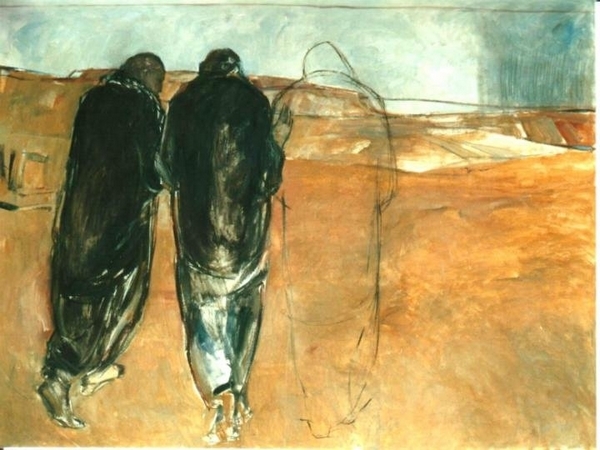 . .
Live it now . . . .
For the past two years between Palm Sunday and Easter Sunday I have published a blog post I originally wrote in 2013 titled, “On the Road to Emmaus,” and I have decided to reblog that post again for this year. You can read the original post at this link and I have also included it below. I love taking road trips. There is something about being on the open road that is very freeing. One can leave the frustrations of life behind for a short while and be open to thinking about the more important things in life that are so often hidden behind a big pile of routine activities, pressing commitments, and worries or concerns that are currently clogging up our lives. It’s also a chance to take in the beauty that surrounds us that we so often miss in the daily grind of life. This week is the week between Palm Sunday and Easter. The Jewish holiday of Passover is part of this week, too, and it derives its name from the last of ten plagues that struck the Egyptians in the book of Exodus (see Exodus 12) in which the firstborn of every Egyptian family was killed as well as the firstborn of Egyptian animals when the Angel of Death visited Egypt and “passed over” Hebrew homes, which had been marked with lambs’ blood on the doorposts (see source here for explanation of all ten plagues and the story behind them). It was this tenth plague that finally freed the Jewish people from 430 years of slavery under Egyptian rule. The significance of the Passover being at this time of year–between Palm Sunday which is the time of Jesus’ triumphal entry into Jerusalem; His crucifixion on Good Friday culminating with His resurrection on Easter Sunday morning (e.g., the first day of the week) cannot be overlooked. Jesus Christ was (and is) the perfect Lamb of God, who was slain on the cross at Calvary as the ultimate sacrifice for sin, and rose again on the third day (commemorated on Easter Sunday each year). More information on how Jesus fulfilled the Passover can be found at this link. Notice that they did not believe what the women had told them because what they said appeared to be nonsense to them. 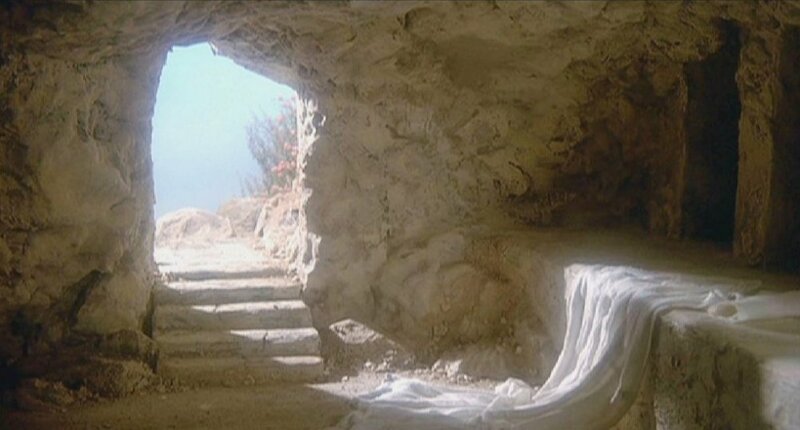 Only Peter got up and ran to the tomb to see if what they said was really true, and when he saw that it was, he wondered what exactly had happened. He said to them, “How foolish you are, and how slow to believe all that the prophets have spoken! Did not the Messiah have to suffer these things and then enter his glory?” And beginning with Moses and all the Prophets, he explained to them what was said in all the Scriptures concerning himself. As they approached the village to which they were going, Jesus continued on as if he were going farther. But they urged him strongly, “Stay with us, for it is nearly evening; the day is almost over.” So he went in to stay with them. As I read this story, I wondered how many times do we miss Jesus in the midst of all of our daily routines and activities whether they are work related or church related; leisure related or we’re busy building a career; or looking for love or finding someone to marry or going through the devastation of divorce; or raising a family or watching as family relationships slowly or not so slowly deteriorate; or building a business or watching as it dies in bankruptcy; constantly running to and fro–busy, busy, busy–following the throngs like everybody else running to and fro–busy, busy, busy. And the question again is, how many times do we miss Jesus in the midst of all of that activity? Jesus came to give us life and to keep us free from endlessly pursuing a huge collection of “stuff” in things or people that we think will give us life. Even the richest person on the planet who has everything imaginable at his or her disposal will die (often from a health destroying disease caused from the stress of trying to keep all that stuff), and all that rushing around accumulating all that “stuff” will die with him or her and go to someone else who will die pursuing the same meaningless end. Jesus said, “The thief comes only to steal and kill and destroy; I have come that they may have life, and have it to the full” (John 10:10). Ask yourself what it is that is eating away at your life and destroying you. And is it that important in your life that you won’t let go of it? You don’t have to let go, but the consequences will be staggering someday (and maybe sooner than later). Jesus died to set us free–free from the trap of accumulating money and things and people; free from the need for power and prestige and control; free from selfishness and self serving ways and frantically pursuing a lifestyle that we think will bring us happiness but that only ends in death, both physical and eternal. This world is not as it appears on the surface . . . it’s a battleground (see Eph. 6:10-18). We are in a war . . . . If you’re caught up in the vicious cycle of “more, more, more” and haven’t got a clue where it will all end, I challenge you to take some time this Easter Sunday, when Jesus rose from the grave to give us new life, and get alone and meet with Him. Take a drive out in the country, or go sit by a lake or a field or someplace far from all the activity of your normal, daily life if only for an hour or so. And take your Bible with you, and ask Him what He would have you to know about Him, and what He really wants for your life. You might be surprised at the answer. And don’t miss Him because of the unbelief in others or the status quo that surrounds your daily life and routine. “Faith comes by hearing and hearing by the Word of God” (Romans 10:17). Trust Him . . . . He can and will guide you safely through the maze if you let Him have total control. Will you let Him have control?